Escondido, CA — April 17, 2019 – MARIJUANA COMPANY OF AMERICA INC. (OTCQB: MCOA) (“MCOA” or the “Company”), an innovative hemp and cannabis corporation, is pleased to announce that the Company has officially acquired a 20% ownership interest in Natural Plant Extract of California (NPE). This news release contains “forward-looking statements,” which are not purely historical and may include any statements regarding beliefs, plans, expectations or intentions regarding the future. Such forward-looking statements include, among other things, the development, costs and results of new business opportunities and words such as “anticipate”, “seek”, intend”, “believe”, “estimate”, “expect”, “project”, “plan” or similar phrases may be deemed “forward-looking statements” within the meaning of the Private Securities Litigation Reform Act of 1995. Actual results could differ from those projected in any forward-looking statements due to numerous factors. Such factors include, among others, the inherent uncertainties associated with new projects, the future US and global economies, the impact of competition, and the Company’s reliance on existing regulations regarding the use and development of cannabis-based products. These forward-looking statements are made as of the date of this news release, and we assume no obligation to update the forward-looking statements, or to update the reasons why actual results could differ from those projected in the forward-looking statements. Although we believe that any beliefs, plans, expectations and intentions contained in this press release are reasonable, there can be no assurance that any such beliefs, plans, expectations or intentions will prove to be accurate. Investors should consult all of the information set forth herein and should also refer to the risk factors disclosure outlined in our annual report on Form 10-12G, our quarterly reports on Form 10-Q and other periodic reports filed from time to time with the Securities and Exchange Commission. For more information, please visit www.sec.gov. Source: MARIJUANA COMPANY OF AMERICA INC.
Escondido, CA – April 15, 2019 — MARIJUANA COMPANY OF AMERICA INC. (OTCQB: MCOA), (“MCOA” or the “Company”) a vertically integrated hemp and cannabis corporation, is pleased to announce its financial results for the year ended December 31, 2018, as reported in its annual report on Form 10-K.
Total revenues of hempSMART™ products were $252,135 for the year ended December 31, 2018, as compared to $26,830 from the prior year, representing a significant 840% increase year over year. Net loss from operations decreased by 82% from $21,262,798 for the year ended December 31, 2017, to $3,814,949 from the prior year. SG&A expenses, including non-cash items and one-time transactional expenses, for 2018 decreased substantially by $17,292,265, or 81%, to $3,980,493, compared to $21,272,758 million for the prior year. For the year ended December 31, 2018, the Company realized the following other one-time income items: Gain cancellation of debt of $1,500,000 and a gain of $560,000 from the change in value of its trading securities investment in Global Payout. The Company also settled a debt that resulted in a gain of $94,933. Escondido, CA — April 1, 2019 – MARIJUANA COMPANY OF AMERICA INC. (“MCOA” or the “Company”) (OTCQB: MCOA), an innovative hemp and cannabis corporation, and its Joint Venture partner Global Hemp Group (CSE: GHG/ OTC: GBHPF/ FRA: GHG) (together with the Company, the “Partners”) are pleased to announce that they are currently in negotiations with several cannabinoid extraction companies in Oregon, USA, regarding the acquisition of the joint venture’s hemp biomass produced at the Scio farm from the 2018 harvest. The team at the Scio farm has prepared processing samples ranging in size from 100 lbs to 2,000 lbs. for the extraction companies. The biomass is being processed into CBD crude oil with the option to refine it further into isolate, or full spectrum oil, in order to increase its value on the market. Results from the current extraction test batches are expected to be received by mid-April and will serve as a basis for the final terms of the sale of the biomass by the Partners. The cloning process is well underway at the Scio farm. For this year’s cultivation, four different strains have been chosen from the latest high CBD industrial hemp varieties, which are being used as a base for the in-house propagation program. The goal of the program is to produce approximately 50,000 clones to populate the lower 35 acres of the Scio farm for the 2019 season, and reduce and/or eliminate the need for the acquisition of any additional seeds or clones from outside sources. The program started with 400 high quality plants. Through a regimen of proper nutrients and a controlled environment, these “mother” plants will grow into very large bushes, which will be used to derive a sufficient number of clones, ensuring that the target number of plants required for this year’s cultivation is reached. Once removed from the mother plants, the clones will then be placed in a propagation greenhouse to root. Once rooted and well established, the clones will then be ready to be planted in the fields, which is expected to begin this year in late May or early June. The Company continues to evaluate a number of opportunities to expand the scope of its project in Oregon. As previously announced, a number of local farmers are interested in working with the joint venture partners to grow hemp in 2019. The Oregon Department of Agriculture expects hemp cultivation in Oregon to grow from 11,514 acres in 2018 to more than 25,000 in this current year. In order for new hemp farmers to be successful, they will need to rely on experienced hemp farming teams like our Scio farm team. This will create potential opportunity to joint venture with the local farming community. The Company has begun preliminary exploration to expand its business into micropropagation of hemp plants. By focusing on culturing the tissue from feminized “mother” hemp plants that are proven to produce high CBD levels, the Company believes it can more efficiently provide plants with higher-yielding and more profitable CBD content. Micropropagation techniques rely on uniform tissue sampling from high yielding CBD feminized hemp plants, that is more effective than developing plants from the more traditional methods of germination from seed or cloning from other plants. Escondido, CA — March 28, 2019 – MARIJUANA COMPANY OF AMERICA INC. (“MCOA” or the “Company”) (OTCQB: MCOA), an innovative hemp and cannabis corporation, is pleased to announce that the Company’s wholly owned subsidiary, hempSMART, Ltd., has successfully launched sales of the hempSMART™ product line in the United Kingdom during the London event on March 23, 2019. The hempSMART UK team successfully sold out its entire promotional inventory at the launch event, which led to over 1,000 new associates signing up with the Company’s associate networking program. The official website of hempSMART UK is live and can be visited at www.hempsmart.co.uk. The event in London is being followed up by additional launch events taking place in Birmingham and Liverpool. Due to the success of our United Kingdom launch, the Company anticipates that the pre-launch for the hempSMART product line will take place in the Netherlands and Germany during Q2 2019. Escondido, CA — March 26, 2019 – MARIJUANA COMPANY OF AMERICA INC. (“MCOA” or the “Company”) (OTCQB: MCOA), an innovative hemp and cannabis corporation, is pleased to announce that the Company’s wholly owned subsidiary hempSMART™ has entered into a strategic marketing agreement with MassRoots, Inc. (OTCQB: MSRT) to promote its hemp CBD formulated product line. Under the terms of the agreement, MassRoots agreed to participate as an associate in the Company’s associate marketing platform, to help promote and sell hempSMART™ products on www.massroots.com, as well as MassRoots’ app and other social media outlets. Escondido, CA — March 21, 2019 – MARIJUANA COMPANY OF AMERICA INC. (OTCQB: MCOA) (“MCOA” or the “Company”), an innovative hemp and cannabis corporation, is pleased to announce that its wholly owned subsidiary, hempSMART, Ltd., a corporation organized in the United Kingdom, will officially launch the Company’s industrial hemp CBD formulated hempSMART™ products in the United Kingdom during the Company’s March 23, 2019 launch event in London. The hempSMART™ launch event is sold out, with associates attending from the United Kingdom and elsewhere in Europe. The Company has implemented a lineup of fantastic speakers with some joining from across the globe by video conference. The Company’s launch program will include an in-depth overview of the CBD industry, its hempSMART™ products, as well as marketing and compensation plans that will also feature information on how associates can start their own business in the CBD industry. The Company believes its hempSMART™ wellness products, which are formulated with industrial hemp derived CBD, are well suited and positioned for the UK and EU markets, as the Company’s CBD extraction processes have reduced the trace levels of THC in its hempSMART™ products to below 0.02% of dry weight, meeting the current accepted standards for CBD supplement products in the UK. The hempSMART, Ltd. UK team has worked diligently over the last few months to ensure its associates get the very best customer support both during and after the launch. During the event, the Company will recognize associates who achieved outstanding pre-launch activity with an assortment of awards and prizes. In addition, the Company’s mobile storefront will be fully manned at the event ensuring everyone can place orders and take them home the same day. The United States Food and Drug Administration (FDA) has not recognized CBD as a safe and effective drug for any indication. Our products containing CBD derived from industrial hemp are not marketed or sold based upon claims that their use is safe and effective treatment for any medical condition as drugs or dietary supplements subject to the FDA’s jurisdiction. Further, the marketing and sale of our hempSMART™ products in the UK and EU, are not based upon claims that their use is a safe and effective treatment for any medical condition as drugs subject to the UK Medicines and Healthcare products Regulatory Agency (MHRA), or any similar EU regulatory agency. Escondido, CA – March 20, 2019 – MARIJUANA COMPANY OF AMERICA INC. (“MCOA” or the “Company”) (OTCQB: MCOA), an innovative hemp and cannabis corporation, is pleased to announce that MCOA has entered into a letter of intent (LOI) with Natural Plant Extract of California (NPE) and its subsidiary, Northern Lights Distribution, LLC (NLD) to acquire a 20% ownership interest in NPE, and to establish a Joint Venture (JV) to operate a California cannabis delivery service named Viva Buds. Source: Marijuana Company of America, Inc.
Escondido, CA — February 26, 2019 – MARIJUANA COMPANY OF AMERICA INC. (“MCOA” or the “Company”) (OTCQB: MCOA), an innovative hemp and cannabis corporation, is proud to announce that the United States Patent and Trademark Office issued the Company a patent for the formulation of its flagship CBD product, hempSMART™ Brain. hempSMART Brain is a wellness product formulated with a proprietary composition of natural ingredients and cannabidiol (CBD) for the enhancement of brain function. The U. S. Patent Office issued patent number 10,201,553. To view the patent on hempSMART™ Brain visit the link here. Escondido, CA — (February 5, 2019) – MARIJUANA COMPANY OF AMERICA INC. (“MCOA” or the “Company”) (OTC: MCOA), an innovative hemp and cannabis corporation, is pleased to announce that its wholly owned subsidiary hempSMART™, attended special promotional events for its CBD infused product line during Super Bowl LIII this past weekend. The events included Ray Lewis’s “Ray of Hope” Foundation’s Gold Jacket for a Purpose event, and a special presentation at the Ice Box Club in Atlanta. A number of professional athletes, NFL coaches, actors, musicians and other persons of interest attended the events, and were given samples of the Company’s hempSMART branded products, including hempSMART™ Brain and hempSMART™ Pain Cream. MCOA is looking forward to continue to obtain brand exposure through its involvement at a pre-Oscar event later this month, where the Company expects to give out hempSMART samples to several Hollywood stars. Escondido, CA — (January 29, 2019) – MARIJUANA COMPANY OF AMERICA INC. (“MCOA” or the “Company”) (OTC: MCOA), an innovative hemp and cannabis corporation, is pleased to announce that its wholly owned subsidiary hempSMART™, Ltd. has successfully completed the first month of signups for its UK prelaunch. The Company’s UK division has implemented a regional office, customer service team and a distribution center that has been established by personnel with several years of experience in the network marketing sector. Full field marketing and training has already commenced for the launch that is expected in early March. The hempSMART team has already taken the appropriate measures to manufacture adequate inventory to meet the expected demand for products during the launch. MCOA anticipates that the launch event in the UK will be a starting point for the Company’s plan to sell its products in additional countries on the European continent. Escondido, CA — (January 10, 2019) – MARIJUANA COMPANY OF AMERICA INC. (“MCOA” or the “Company”) (OTC: MCOA), an innovative hemp and cannabis corporation, and its Joint Venture partner Global Hemp Group Inc. (CSE: GHG/ OTC: GBHPF/ FRA: GHG) are pleased to announce that clone production for the 2019 season at their Scio, Oregon High Yielding CBD Hemp project is now in high gear, in preparation for an “as early as possible” planting this year. Unlike 2018, which had a late start to planting due to delays in finalizing the acquisition of the project’s 109 acre farm, preparations are underway so that planting of this year’s crop can begin in late May to early June. This will provide an additional 45 to 60 days of growing time compared to last year, allowing time for the hemp plants to get considerably larger, which will generate a greater quantity of biomass. For 2019, the project will cultivate three hemp strains which will offer high CBD content, substantial biomass yield, and ultra low THC levels, along with superior pest resistance and disease tolerance. These strains also have a shorter flowering period, which will allow for an earlier harvest, before the usual Fall rainy season begins in the region. The hardiest phenotypes were selected for mother plants that will feed the cloning process, which began back in November 2018 soon after the recent harvest and drying operation was complete. This cloning operation will produce the approximately 40,000+ clones required to plant on the farm’s lower 35 acres. The Scio team is now upgrading the lighting and electrical in the greenhouses for continued expansion of the cloning operation. It is expected that the cloning operations will produce an excess of clones beyond what is required for the Scio project, which will allow for the sale to other farms in the area. The team continues to talk with local farmers that are interested in partnering to cultivate hemp for the coming season. On-site clone operations will eliminate the need of capital outlay to purchase clones from other growers as was required in 2018 as the result of the late start, an expense of over US$200,000. In addition, the project’s operating company, Covered Bridge Acres (CBA), has received its registration to cultivate hemp for 2019 from the Oregon Department of Agriculture. Also, for the 2019 season, CBA is now registered to produce or handle agricultural hemp seed, so that the company can establish a breeding program that will potentially generate additional revenue for the project. Management is currently searching for an offsite warehouse to store biomass and complete hammer mill processing of the material produced from the 2018 harvest. Once the location has been secured, CBA will complete its Land Use Compatibility Statement (LUCS) and apply for its 2019 Industrial Hemp Handler registration that will enable CBA to further process (extract) its material. Management is in ongoing discussions with several potential off takers and processing partners in an effort to monetize the 2018 biomass and prepare for the upcoming 2019 season which will produce significantly more material. Escondido, CA – MARIJUANA COMPANY OF AMERICA INC. (“MCOA” or the “Company”) (OTC: MCOA), an innovative hemp and cannabis corporation, is pleased to announce that the Company has upgraded its trading tier on the OTC Markets to the OTCQB Venture Marketplace. MCOA views this as an important step in continuing to distinguish itself from other cannabis publicly traded companies. By upgrading its trading tier, the Company will have the ability of providing investors with transparent and reliable audited information of MCOA’s operations, overviews of the Company’s business strategy, as well as current financial statements every quarter. By upgrading its trading tier, MCOA hopes to improve its image among institutional investor and broker communities. This upgrade removes some of the limitations put on Pinksheet companies and in turn gives the Company better access to a larger shareholder base and liquidity in the marketplace. The uplisting is also an integral requirement for the S1 registration statement that the Company expects to file with the SEC prior to year-end in order to fund its high growth objectives in 2019. “Our Company will continue to be aggressive in executing our business plan and we believe this is a necessary step to help legitimize MCOA as one of the top fully reporting public cannabis companies involved in the hemp-derived CBD sector. MCOA will continue to expand our operations in the U.S. as well as launch our hempSMART™ product line internationally in 2019,” said CEO Donald Steinberg. Vancouver, BC — (November 27, 2018) — GLOBAL HEMP GROUP INC. (CSE: GHG / OTC: GBHPF / FRANKFURT: GHG) (“GHG” or the “Company”) and its joint venture partner Marijuana Company of America, Inc. (OTC: MCOA) (the “Partners”) are pleased to provide an update on the harvest at their high yielding CBD hemp project in Scio, Oregon. 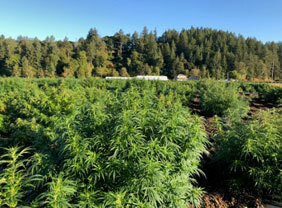 The 2018 Scio cultivation consisted of 33 acres of high yielding CBD hemp (utilizing six different cultivars with an expected CBD content ranging from 6% to 12%) was grown in an orchard style cultivation on the two lower fields at the property. With the help of near perfect weather in the region extending the harvest period by several weeks, the hemp had the opportunity to grow to full maturity and allowed the team to completely harvest all plants grown, before the fall rains began in the valley. For pictures from this season’s cultivation, please visit the Scio project page on GHG’s website – https://globalhempgroup.com/scio-oregon. As with most things on the hemp farm this year, innovation was the key to success. There were many challenges throughout the year; from getting a late start due to delays in closing of the farm acquisition, to preparing the fields, drying, harvesting and storage, but the team in Scio was able to find solutions when required. Our team consists of a number of crew members that are extremely innovative, who are trained in a variety of skill sets. They are well versed in everything from metal fabrication, fine carpentry, and large equipment operation, so the team is able to set up, build, and/or operate pretty much everything themselves at the project. With the addition of a number of knowledgeable advisers to assist, the team was able to solve all challenges that arose during the course of the season. This year’s harvest consisted of approximately 37,000 high yielding CBD hemp plants producing 24 tons of biomass. Harvesting this year was done by hand, making it extremely labour intensive and time consuming. The team has created a number of solutions that will automate both the harvesting and planting of the hemp for next year’s crop. Ultimately, the goal is to completely automate these processes, making it more efficient and less costly to complete. The team has now begun working on prototypes to automate the harvesting processes and expect to have machinery ready for use next season. A number of different drying techniques were employed with this year’s harvest. In the end, “old school” hanging techniques proved to be the most effective and efficient. Drying took place in the farm’s larger 20 foot high, 4,000 sq. ft. greenhouses which allowed for an increased quantity of plants being dried at any one time. Drying took approximately 36 to 48 hours to dry the hemp to be levels required for storage and ultimately extraction. With each successive batch of drying, techniques were improved to increase the volume of biomass being dried in the greenhouse, while decreasing the time that it took to hang and dry it. The drying process for all of the hemp harvested is now complete and is stored awaiting further processing. The farm produced 48,000 pounds of dried biomass, which is stockpiled in quarter ton super sacks, stacked three bags high and requiring approximately 4,000 sq. ft. of storage space. Despite the late start in planting this season, the hemp plants still achieved sufficient size to produce the anticipated quantity of biomass. It is expected that in 2019, planting will begin June 1st giving the hemp an addition 30-45 days of growing time. This will produce much larger plants, resulting in significantly larger quantities of biomass. The Partners have now acquired a hammermill to complete the next level of processing prior to the biomass going for extraction of the cannabinoids. Processing will begin shortly, once electrical work is complete to run the hammermill. This next level of processing will not only prepare the biomass for extraction of cannabinoids but will also reduce the storage space requirements by more than 50% as the bulk of the plants is reduced in size. The Partners are currently exploring opportunities to joint venture with others that have expertise in the cannabinoid extraction business, so that an extraction facility can be set up onsite to process this year’s harvest. Biomass is currently selling for between US$3.00 and US$4.00 per percent, per pound. By taking the biomass to the next level of processing, further value will be created. Denver CO – November 27, 2018 – Recent changes in Washington, D.C., are good news for the U.S. hemp industry. The recent departure of Jeff Sessions from the Attorney General’s Office may make it easier for states to enforce their own laws in relation to cannabis and hemp legalization. The Democratic majority in the House may ease the passage of the delayed Farm Bill. These changes could improve the prospects for hemp and cannabis producers. Marijuana Company of America Inc. (OTC:MCOA) (MCOA Profile) is a pioneer in the hemp industry, with trial cultivation operations under way in Washington and a range of hemp-derived products on the market. Charlotte’s Web Holdings, Inc. (OTC:CWBHF) (CSE:CWEB) is also focused on hemp-derived cannabidiol (CBD) products and recently raised its profile through TV coverage. Even before the prospect of reform, CV Sciences, Inc. (OTC:CVSI) was seeing record profits this year and increased its profile by becoming a sponsor for the Hemp Industry Association’s 25th anniversary conference. Isodiol International, Inc. (CSE:ISOL) (OTC:ISOLF) is benefiting from changes not just in the United States but in Mexico, where new regulations will support its sale of diverse CBD products. The first publicly traded U.S. cannabis company, Medical Marijuana, Inc. (OTC:MJNA) is also seeing growth, with record sales and a continuing high profile. This November’s Congressional elections have been some of the most divisive in U.S. history. Bitterly fought campaigns have culminated in knife-edge results, featuring recounts to settle tiny vote margins amid loud accusations of cheating from both sides. While the election results and their aftermath have been mixed for both Democrats and Republicans, they have been overwhelmingly positive for one group — hemp producers. A Democratic majority in the House of Representatives may finally bring an end to months of bickering over this year’s Farm Bill renewal, leading to the expected federal legalization of hemp farming in the process. And the forced resignation of U.S. Attorney General Jeff Sessions, which President Donald Trump pushed once the elections were over, has removed one of the biggest stumbling blocks the industry faced. The resignation of Jeff Sessions was welcomed with relief by companies in the hemp sector, including Marijuana Company of America Inc. (OTC:MCOA), just as his arrival was greeted with disappointment two years before. During his election campaign, Trump had supported medical cannabis and states’ rights to legalize their own industries. This was good news for hemp companies, which expected to function as the primary producers of medical cannabis. Hemp, which does not get users high and is useful for a variety of purposes, was banned by the sweeping laws of drug prohibition decades ago. Recent state-level reforms have allowed the establishment of projects such as MCOA’s hemp project in Scio, Ore, in conjunction with their joint venture partner Global Hemp Group Inc. But tension has existed for years between state-level legalization and the continuing federal prohibition on all forms of cannabis. Trump’s offer of reform appeared to be a solution. Then Sessions came into office. As the government’s top law enforcement officer, he had the power to clamp down on all things cannabis related. And as a vociferous opponent of cannabis, that was exactly what he promised to do. Though Sessions was not able to launch a new escalation of the war on drugs, his stance on the subject frustrated cannabis proponents. Even as brands such as MCOA’s hempSMARTÔ brought a state-legalized flood of hemp-derived products to the health and wellness markets, Sessions’ presence threatened to stifle the fast-growing industry. However, the cannabis trade and surrounding industries continued to grow despite Sessions’ presence. MCOA is a shining example of an industry-savvy company that has recognized opportunities for growth and development in an industry that reached an estimated value of $9 billion in 2017 and is expected to reach over $47 billion by 2027. The company developed a distinct hemp derived CBD brand — hempSMART™— and established high yielding hemp cultivation farming projects in the United States and Canada while also investing in Moneytrac Technology, a business providing financial and support services for the cannabis industry. However, federal restrictions have created uncertainty for companies. By this fall, the White House was hinting at taking a more liberal stance. While this could be seen as a political ploy to balance Sessions’ presence in the minds of cynical cannabis-conscious voters, it also hinted at divisions within the government. It’s hardly surprising with a populist president like Trump. With 64 percent of Americans supporting legalization of cannabis and 74 percent supporting states’ rights to legalize, Sessions was up against the popular view on a widely discussed issue. Though both his appointment and his departure were driven by other factors, his absence opens the way for cannabis reform. And in fact, cannabis companies’ stocks initially rose when the news was announced. But Sessions’ departure wasn’t the biggest issue for hemp companies such as MCOA. These companies are also closely watching what is happening in the House. The 2018 Farm Bill is one of the most important pieces of legislation the hemp industry has ever seen. A wide-ranging bill covering U.S. agricultural and food policy, it includes provisions that would legalize the large-scale cultivation of industrial hemp. Under the previous Farm Bill of 2014, such cultivation became legal on a limited scale for purposes of research and trial crops. This led to hemp crop development, such as the cultivation harvested by MCOA this fall at its Oregon site, but not wide-scale production. The hemp provisions in the 2018 bill are set to change that. Given their potential to offer a profitable new crop for struggling farmers in Republican-held districts, the provisions have gained cross-party support and ensured a place in the bill. Unfortunately, other provisions have been more controversial. Arguments over how to allocate federal food assistance and how to deal with illegal immigration stalled the bill earlier in the year, and arguments over who will benefit most from the funds have prevented compromise in the months that followed. The future of hemp companies such as MCOA has been in limbo thanks to issues that have nothing to do with hemp. With the Democrats about to gain control of the House, that appears likely to change. The biggest hurdle to passing the bill is House Republicans’ desire to set tougher controls for allocating food stamps. But neither Democrats nor Senate Republicans favor these strict rules, so a Democratic majority in the House and the Republican-majority Senate could break the impasse and pass a bill. This has also given Republicans more incentive to pass the bill while they still have power to shape its outcome in the House. This change is great news for MCOA. As an industrial hemp company, its operations have so far been limited by the provisions of the 2014 Farm Bill and legalization in specific states. The legalization of hemp will allow it to expand its existing cultivation, set up new operations and more easily sell its products into markets across the country. Plenty of hemp and cannabis companies across the United States will be seizing opportunities created if federal prohibition ends. Many of these companies, such as Charlotte’s Web Holdings, Inc. (OTC:CWBHF) (CSE:CWEB), are focused on products using CBD. Its widespread use in health and wellness products has propelled these companies into the limelight, with Charlotte’s Web CEO Hess Moallem appearing on CNBC to talk about the growth of CBD and cannabis businesses in the country. Politicians’ willingness to change their stance on hemp is unsurprising given the growing momentum behind the industry. The Hemp Industry Association is throwing its 25th anniversary convention this year. The milestone event, sponsored by CV Sciences, Inc. (OTC:CVSI), marks two-and-a-half decades of revival for a once-powerful industry. The sponsorship opportunity has been hugely beneficial for CV Sciences, which saw record sales and gross profits in the third quarter of 2018. Isodiol International, Inc. (CSE:ISOL) (OTC:ISOLF) is another company focusing on CBD. Its products cover a wide spectrum of uses, including sleep aid, pain management and skin needs. While the political changes in the United States appear positive for Isodiol, the company has also been closely following events in Mexico, where it has distribution agreements with several companies specializing in pharmaceuticals. At the end of October, Mexican authorities published new regulations covering CBD products. These allow hemp to be used in cosmetics, food supplements and herbal products, as well as in medicines. Based on these changes and its established agreements, Isodiol expects to start sales in Mexico in early 2019. Medical Marijuana, Inc. (OTC:MJNA), the first publicly traded cannabis company in the United States, continues to go from strength to strength. Its subsidiaries have been exhibiting at events across America this year as it continues to develop its profile. Like CV Sciences, it has recently seen record sales as the cannabis and CBD markets grow across North America and beyond. The hemp industry is growing around the world but, with change in the cards in Washington, America appears set to stay at the forefront of the industry. For more information about MCOA, please visit Marijuana Company of America (OTC:MCOA). – SG&A expenses decreased by 1007% from Q3 2017 to Q3 2018. – Total assets increased by 42% from Q3 2017 to Q3 2018. – Total liabilities decreased by 259% from Q3 2017 to Q3 2018. Total revenues were $90,276 for the three quarters ended September 30, 2018 as compared to $2,927 for the three quarters ended September 30, 2017, representing a 2984% increase quarter to quarter. Gross profit for the third quarter of 2018 increased to $61,839 on gross sales of $90,276 (6.5% gross margin), compared to a gross margin for the third quarter of 2017 of $986. Including non-cash items and one-time transactional expenses, SG&A expenses for the third quarter of 2018 decreased substantially by $17,160,679 or 1007% to $1.89 million, compared to $17.2 million for the fourth quarter of 2017. For the third quarter ending September 30, 2018, the Company realized the following other one-time income items: Gain cancellation of debt of $1,500,000 and a gain of $1,175,000 from the change in value of its trading securities investment in Global Payout. Total assets increased by 42% from $1,129,958 for the three quarters ended September 30, 2017 to $2,694,929 for the three quarters ended September 30, 2018. This increase is due primarily to the increase in value of the Company’s investment in Global Payout’s stock, which is accounted for using the trading security method of accounting as well as an increase in inventory. Total liabilities decreased by 259% from $11,447,710 for the three quarters ended September 30, 2018 to $4,414,752 for the three quarters ended September 30, 2018. This decrease was largely due to the decrease in liabilities related to warrants and joint venture obligations. Cash used by operating activities for the three quarters ending September 30, 2018 was $1,010,520, compared to cash used for operating activities of $527,412 for the quarter ended September 30, 2017. Cash used by investing activities for the three quarters ending September 30, 2018 was $631,886, compared to $702,419 for the three quarters ended September 30, 2017. Cash provided by financing activities for the three quarters ending September 30, 2018 was $1,460,067, compared to $1,082,345 for the three quarters ended September 30, 2017. “The third quarter marked an important milestone for MCOA, as our hempSMART sales have ramped up due to our multi-pronged marketing campaign and several newly launched products. We ended the quarter strong with a revenue trend that is now largely stabilized with the strong foundation that we built. We expect sales to continue to increase through Q4 with the holiday season and into next year with our European expansion,” said Don Steinberg, MCOA’s CEO. Escondido, CA — (November 6, 2018) – MARIJUANA COMPANY OF AMERICA INC. (“MCOA” or the “Company”) (OTC: MCOA), an innovative hemp and cannabis corporation, is pleased to announce that its wholly owned subsidiary hempSMART™ is launching a direct response television ad campaign in a strategic partnership with asseenontv.pro (ASONTV). In early November 2018, ASONTV and hempSMART will release a television commercial campaign promoting the Company’s hempSMART Full Spectrum Pet Drops, formulated with 250mg of non-psychoactive hemp derived Cannabidiol (CBD) oil, on major cable networks in select regions across the United States. The 60 second TV ad campaign will run for 6 weeks from its starting date with a total of 300 different featured advertisement spots. The ad campaign will promote hempSMART’s Pet Drops as an all-natural alternative for pet owners to traditional products in the market place. The Company anticipates that the increased attention gained from the commercial ad campaign could drive more customers to the other products featured under the hempSMART CBD product brand. Escondido, CA — (October 24, 2018) – MARIJUANA COMPANY OF AMERICA INC. (“MCOA” or the “Company”) (OTC: MCOA), an innovative hemp and cannabis corporation, is pleased to announce that the Company’s wholly-owned subsidiary hempSMART™ held its successful first South West Regional Event for its associates in Carlsbad, California on Monday October 22, 2018. The event featured information regarding the Company’s new platform rollout and compensation plan. The event also featured an in-depth discussion regarding product formulations and compliance which then concluded with instructions on how to start your own personal business, network, and how to maximize commissions for all hempSMART associates. The all-day event gave associates the opportunity to meet and interact with the entire hempSMART staff including, CEO of MCOA, Donald Steinberg who discussed hempSMART’s strategic global sales strategy moving forward and corporate strategy for the Company. Escondido, CA — (October 11, 2018) – MARIJUANA COMPANY OF AMERICA INC. (“MCOA” or the “Company”) (OTC: MCOA), an innovative hemp and cannabis corporation, is pleased to announce that the Company filed an application with the OTC Markets on October 3, 2018, to uplist from the OTC Pink to the OTCQB listing tier on the OTC Markets. Additionally, the Company is in the process of finalizing a registration statement on Form S-1 that the Company intends to file with the Securities and Exchange Commission (SEC), in conjunction with an anticipated equity line of financing that will allow the Company, once the S-1 is effective, to raise up to $10 million. The Company’s application to uplist to the OTCQB tier is a condition for both the equity line of financing and for the Form S-1 registration statement. The OTCQB tier increases transparency, reporting standards, management certification and compliance requirements. Further, the majority of broker dealers trade stocks on the OTCQB and historically this has resulted in greater liquidity and awareness for companies that reach the OTCQB tier. On August 31, 2018, the Company engaged Mr. Jesus Quintero as its new Chief Financial Officer, and on September 19, 2018, appointed Robert Coale as an independent director. Mr. Quintero has served as a financial consultant to several multi-million dollar businesses in South Florida. He has extensive experience in public company reporting and SEC/SOX compliance, and held senior finance positions with Avnet, Inc. (NYSE: AVT), Latin Node, Inc., Globetel Communications Corp. (AMEX: GTE) and Telefonica of Spain. His prior experience also includes tenure with Price Waterhouse and Deloitte & Touche. Mr. Quintero earned a B.S. in Accounting from St. John’s University and is a certified public accountant. Mr. Coale brings years of experience in business consulting, private equity investments, financial and strategic joint venture facilitation, including telecommunications, banking, fund raising, non-profit, retirement, entertainment, licensing, gateway interface/merchant processing, real estate development, and strategic planning. Mr. Coale holds a Master’s in Business Administration, with an emphasis on International Marketing and Strategic Planning from Pepperdine University awarded in 1992; a Bachelors of Science with an emphasis in Finance from the University of Southern California awarded in 1982. Escondido, CA — (October 9, 2018) – MARIJUANA COMPANY OF AMERICA INC. (“MCOA” or the “Company”) (OTC: MCOA), an innovative hemp and cannabis corporation, is pleased to announce that the Company has appointed Ian Harvey as the Global Sales Director of its wholly-owned UK subsidiary hempSMART™, Ltd. in preparation for the Company’s January 2019 product launch in Europe. Ian Harvey has been involved in the direct sales industry for over 35 years. Mr. Harvey has worked for and helped to develop several successful Blue Chip corporations in countries around the world including Japan, South Africa, the United States, and numerous European countries. He has several years of experience launching new product brands, training programs, and implementing strategic approaches designed to capture large networks of loyal customers on an international level. Escondido, CA — (October 2, 2018) – MARIJUANA COMPANY OF AMERICA INC. (“MCOA” or the “Company”) (OTC: MCOA), an innovative hemp and cannabis corporation, and its joint venture partner Global Hemp Group Inc. (CSE: GHG/ OTC: GBHPF/ FRANKFURT: CSE) (the “Partners”) are pleased to provide an update on their high yielding CBD hemp project in Scio, Oregon. Harvest has begun at the farm. Over the next 10 days the team in Scio will harvest this year’s crop, which consists of approximately 36,000 high yielding CBD hemp plants that were grown in an orchard style cultivation on 33 acres. The team planted six different cultivars this year to determine which would be the optimal hemp variety to grow in the coming year. The team continues to evaluate hemp cultivars that will provide higher CBD yields and a reduced flowering period, which will allow the team to complete the harvest earlier in the year prior to the fall rains. Once the hemp is harvested, it will be dried in preparation for storage prior to processing. Drying this season will take place in the project’s four recently completed greenhouses on the farm and will utilize a traditional hanging method, as well as testing an innovative rack drying system. Prior to next season’s harvest, the Partners will construct a permanent drying facility on site. Once the hemp is dried to a 10-12% moisture content, it can be stored with little or no cannabinoid/plant matter degradation, prior to extraction. The team has now completed the setup of the first four of five greenhouses, giving the project 15,000+ sq. ft. of active greenhouse space for its drying and cloning operations. 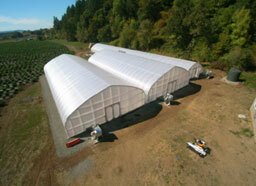 A fifth greenhouse (already purchased) will be installed after the drying of this year’s crop is complete. This will increase the active greenhouse space at the project to over 19,000 sq. ft. An additional 20,000 sq. ft. of greenhouse space will be purchased in October as part of further project expansion, with the vision of implementing a year round perpetual harvest model to enhance revenue generation and cash flow, and increasing the size of the cloning operation to be able to supply clones to the local farming community. The team has now started its cloning operations for the winter crop, which will utilize the current and future greenhouses. Management is exploring opportunities to maximize production by developing beneficial relationships that will help optimize the Project’s profit potential through R&D, data collection and analysis. With the success of this year’s hemp cultivation on display at the farm, it has attracted the attention of the local community and many local farmers that are interested in growing hemp as hemp generates a far greater Return On Investment per acre than any other crop they are currently growing. The Project’s stated goal has been to use 2018 as an initial commercial trial and then to significantly expand the acreage under cultivation in the coming years. Management is currently in discussions with a number of these local farmers regarding contract farming and share cropping for the project, starting next year. Escondido, California–(Newsfile Corp. – August 30, 2018) – MARIJUANA COMPANY OF AMERICA INC. (OTC Pink: MCOA) (” MCOA” or the ” Company“), an innovative hemp and cannabis corporation, and its joint venture partner Global Hemp Group Inc. (CSE: GHG) (OTC Pink: GBHPF) (FSE: GHG) (the “Partners”) are pleased to provide an update on their CBD hemp farming joint venture in New Brunswick, Canada (the ” Project“). The dryer holds multiple bins of material, for a total processing capacity of just over one tonne of fresh hemp biomass per load. Initial testing is in progress and will be completed by the end of this week. Once the biomass has been dried from this year’s harvest, it will be stored until the implementation of the Cannabis Act on Oct. 17, 2018, at which time the biomass can be legally sold for extraction. Health Canada has recently issued a new Class Exemption to the Industrial Hemp Regulations that allows hemp cultivation license holders to legally harvest, dry and store flowers, leaves and branches prior to the passage of the Cannabis Act. Management is currently in discussions with potential offtakers for selling the dried biomass in bulk, as well as exploring potential strategies for toll extraction and the marketing and distribution of processed and refined oils. It is now nearing harvest time at the New Brunswick Hemp Project. To maximize profit, it is important to harvest as much of the higher CBD content flowers and leaves as possible, without undue amounts of the low-to-no CBD straw (the stalk). This year’s drought has complicated matters, as the hemp plants have tended to be shorter than usual, and the weeds are taller, as they were able to get a head start before the hemp began growing, although the hemp is still displaying very healthy and weighty inflorescence. These issues that are perceived as problems as they occur may benefit the hemp plants, which tend to produce more biomass as a result of stress from competition with weeds and the effects of the drought. In non-drought years, other harvesting tools will be required and the innovative farmers of our group have already begun strategizing on potential solutions that will be applicable next year when the Partners move forward with an aggressive expansion strategy to significantly increase CBD acreage, as well as fully exploit the whole hemp plant and process the straw for industrial applications. The drought in northeast New Brunswick has not affected all fields uniformly. One of our fields is reported by DAAF field agrologists as “one of the finest of the province.” Aside from the obvious economic benefit in terms of increased yields, this field offers the opportunity to contrast high and low performing plants of a given variety in the same location, shedding some light on the role of plant nutrition in explaining the performance of hemp plants. Dr. Ron Smith from University of New Brunswick will spearhead a research project focused on the issue. The Partners and the National Research Council have committed to provide financial support for the study. Global Hemp Group Inc. (CSE: GHG) (OTC Pink: GBHPF) (FSE: GHG), is headquartered in Vancouver, British Columbia, Canada, with base operations in Montreal and Los Angeles. The Company is focused on a multi-phased strategy to build a strong presence in the industrial hemp industry in both Canada and the United States. The first phase of this strategy is to develop hemp cultivation with the objective of extracting cannabinoids (CBD, CBG, CBN & CBC) and creating a near term revenue stream that will allow the Company to expand and develop successive phases of the strategy. The second phase of the plan will focus on the development of value-added industrial hemp products utilizing the processing of the whole hemp plant, as envisioned in the Company’s Hemp Agro-Industrial Zone (HAIZ) strategy. Forward Looking Statements This news release contains “forward-looking statements” which are not purely historical and may include any statements regarding beliefs, plans, expectations or intentions regarding the future. Such forward-looking statements include, among other things, the development, costs and results of new business opportunities and words such as “anticipate”, “seek”, intend”, “believe”, “estimate”, “expect”, “project”, “plan”, or similar phrases may be deemed “forward-looking statements” within the meaning of the Private Securities Litigation Reform Act of 1995. Actual results could differ from those projected in any forward-looking statements due to numerous factors. Such factors include, among others, the inherent uncertainties associated with new projects, the future U.S. and global economies, the impact of competition, and the Company’s reliance on existing regulations regarding the use and development of cannabis-based products. These forward-looking statements are made as of the date of this news release, and we assume no obligation to update the forward-looking statements, or to update the reasons why actual results could differ from those projected in the forward-looking statements. Although we believe that any beliefs, plans, expectations and intentions contained in this press release are reasonable, there can be no assurance that any such beliefs, plans, expectations or intentions will prove to be accurate. Investors should consult all of the information set forth herein and should also refer to the risk factors disclosure outlined in our annual report on Form 10-12G, our quarterly reports on Form 10-Q and other periodic reports filed from time-to-time with the Securities and Exchange Commission. For more information, please visit www.sec.gov. ESCONDIDO, Calif., Aug. 29, 2018 (GLOBE NEWSWIRE) — via NetworkWire — MARIJUANA COMPANY OF AMERICA INC. (“MCOA” or the “Company”) (OTC: MCOA), an innovative hemp and cannabis corporation, is pleased to announce that it has received 150,000,000 shares of common stock of Global Payout Inc. (OTC: “GOHE”) as part its reverse merger with MoneyTrac Technology. Based on the market price of GOHE’s stock on the date of the share issuance, MCOA has a contingent unrealized gain of approximately 700% on its $250,000 investment, subject to future price fluctuations in the market for GOHE’s stock. On March 13, 2017, MCOA entered into a stock purchase agreement to acquire 15,000,000 common shares of MoneyTrac Technology, Inc., for a total purchase price of $250,000. As part of MoneyTrac’s merger with GOHE, GOHE issued shares from treasury to MCOA on August 24, 2018. On the date of the share issuance, the closing price of GOHE’s stock was $.0116 a share, valuing the 150M shares position at approximately $1,740,000. Marijuana Company of America Inc. was established as a publicly traded company “MCOA” in 2015 by Don Steinberg and Charles Larsen, two veterans of the cannabis and industrial hemp industries. Their goal was to capture a piece of the $6.7 billion cannabis and $688 million hemp industries which have been enjoying exponential growth with no slowdown in sight. The objective is to create an umbrella under which we would place a variety of portfolio companies that participate within this industry. Taking on a long term vision and recognizing the many potential opportunities that exist, we have established ourselves along various points in the cannabis, industrial hemp, and related services supply chain. Our wholly owned subsidiary hempSMART™ delivers all of the benefits of industrial hemp derived cannabinoid (non THC) products to the world through its unique marketing and distribution platform. MCOA, also, provides turn-key services to the legal cannabis and hemp industry, as well as, strategically investing in synergistic companies to develop a diverse portfolio of subsidiaries and joint ventures that create value for our shareholders. As MCOA embarks on its 2nd year, we find ourselves with many new partners, joint venture relationships, and a very powerful consortium of companies who share our global vision. We are in the right business, at the right time, with the right experience to take this company to the next level. We have combined the most effective ingredients wellness technologies with industrial hemp based cannabinoids to create optimally formulated wellness products for health conscious consumers. HempSMART™ is a company with a mission of educating and empowering consumers to learn about and become part of the Hemp Movement. This includes consuming and benefiting from some of the world’s most innovative hemp product technologies created by hempSMART. Our mission is to make potential consumers “hempSMART.” Seeing the wellness environment rapidly shifting regarding premium quality cannabinoid products, the hempSMART founders have selected key professionals for various roles on the hempSMART team. This includes many of the best wellness professionals, health professionals, product formulation experts, educators, marketers and business minds to ensure that hempSMART can place you in a “first to market” position in every way. The products are only the beginning. Those that join the hempSMART Mission can start improving their personal wellness from day 1 with hempSMART products as well as become involved in this rapidly emerging industry with unlimited potential in the marketplace. Our product philosophy is to provide consumers with the newest, most innovative products, research and delivery systems related to hemp and CBD based products to improve their personal wellness. HempSMART also provides a low barrier to entry business opportunity for entrepreneurs in a rapidly emerging, global marketplace. HempSMART is is about to become a major industry brand with global operations providing wellness and opportunity for potentially millions of people. MCOA’s Partnership with Convenient Hemp Mart, LLC. Marijuana Company of America, Inc. has partnered with Convenient Hemp Mart, LLC’s to launch “BeniHemp” branded products targeting convenience stores for CBD product distribution. MCOA has invested $100,000 into the start-up project for a 25% equity stake in Convenient Hemp Mart. Convenient Hemp Mart has developed unique sample sized packaging for consumers to try its BeniHemp products. When customers have a positive experience with BeniHemp sample products, they will then be able to purchase a monthly supply and sign up for auto ship online. Store owners will continue to generate additional revenue without the burden of managing inventory and shelf space. MCOA has completed an investment of $250,000 into MoneyTrac Technology, Inc., a subsidiary of Global Payout, Inc. (OTC PINK: GOHE), in exchange for a 15% ownership interest. MCOA made this investment to help establish and market MTT as an alternative banking solution for the cannabis industry. MoneyTrac’s software has the ability to integrate and streamline electronic payment processing, such as E-Wallet and mobile applications, as well as manage and process prepaid cards, debit cards, and credit card payments. On August 24, 2018, MCOA was issued 150,000,000 shares of GOHE’s common stock as a part of its reverse merger with MoneyTrac Technology. Based on the market price of GOHE’s stock on the date of the share issuance, MCOA has a contingent unrealized gain of approximately 700% on its $250,000 investment, subject to future price fluctuations in the market for GOHE’s stock. Don Steinberg has been at the forefront of new business concepts many times, and now brings a lifetime of experience to Marijuana Company of America, Inc. that will serve to benefit the company in a myriad of ways. In the 1980’s Don developed stock option analysis and trading programs. This led to his management of floor traders on multiple options exchanges, and gave him the knowledge and insight he needed to successfully take other companies public. In the early 90’s, he co-founded Globalcom 2000 and entered into the prepaid phone card business, which at that time was an almost unknown market. Globalcom 2000 became one of the largest phone card companies in the United States, as well as its fastest growing. Among the many firsts accomplished in that business was an account with 7-11, which he personally closed, and which made Globalcom 2000 the 1st phone card in the country with a corporate logo. In 1994, Don developed an interest in the telecom “Callback” business, and co-founded One World Communications. He subsequently traveled the world, opening up 187 training centers in only 9 months, and created the world’s largest International MLM global sales force selling telecom services. In 2006, Mr. Steinberg formed Club Vivanet as an International MLM, selling a variety of services. In 2008, he merged Club Vivanet with a publicly traded company. In 2009, Don recognized the emerging opportunities in the medical marijuana industry, and changed the name of Club Vivanet to Medical Marijuana Inc., which became America’s first publicly traded company in the medical marijuana industry. In 2011, he successfully managed the acquisition of Medical Marijuana Inc. and the transition to new management. Mr. Steinberg brings a lifetime of experience to Marijuana Company of America, Inc. that will serve to benefit the Company in countless numbers of ways. He has vast experience in building and managing start-up companies, managing public company compliance, and spent years managing floor operations on various stock exchanges. Mr. Steinberg has had a life-long career in international sales and marketing, with over 40 years of experience developing and running successful businesses. Using this breadth of experience, Don will provide guidance and day-to-day management for the Company, and will be actively involved in its future and growth. Charles Larsen has more than 30 years of experience working in government, public, private and start-up companies as an executive manager. In 2009 he was the founding President of the first publicly traded company in the medical cannabis industry, Medical Marijuana Inc. and the CEO of Global Hemp Group Inc. He has been actively involved in the cannabis industry in a full-time capacity since 2008, traveling the world researching the industry, developing relationships with key global players and has been a strategic consultant to many emerging and seasoned cannabis companies. In addition, Mr. Larsen has significant experience in high volume securities trading, corporate and public debt, equities, options and futures, as well as being an experienced portfolio manager, securities trader and C level executive. He has participated in the highest levels of strategic planning, mergers & acquisitions, financial and operational restructuring, public and private corporate finance, governance and compliance. From January, 2013 to September, 2014, Mr. Quintero served as the Chief Financial Officer of the Brazil Interactive Media, Inc. Mr. Quintero is the current CFO for Mass Roots Inc (OTC: MSRT ). From 2011 to the present, Mr. Quintero has served as a financial consultant to several multi-million dollar businesses in South Florida. He has extensive experience in public company reporting and SEC/SOX compliance, and held senior finance positions with Avnet, Inc. (NYSE: AVT), Latin Node, Inc., Globetel Communications Corp. (AMEX: GTE) and Telefonica of Spain. His prior experience also includes tenure with Price Waterhouse and Deloitte & Touche. Mr. Quintero earned a B.S. in Accounting from St. John’s University and is a certified public accountant.  FN Media Group LLC (FNMG) owns and operates FinancialNewsMedia.com (FNM) which is a third party publisher that disseminates electronic information through multiple online media channels. FNMG’s intended purposes are to deliver market updates and news alerts issued from private and publicly trading companies as well as providing coverage and increased awareness for companies that issue press to the public via online newswires. 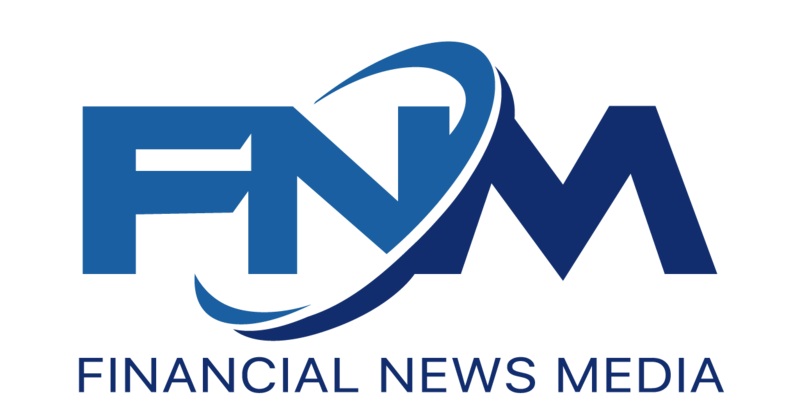 FNMG and its affiliated companies are a news dissemination and financial marketing solutions provider and are NOT a registered broker/dealer/analyst/adviser, holds no investment licenses and may NOT sell, offer to sell or offer to buy any security. FNMG’s market updates, news alerts and corporate profiles are NOT a solicitation or recommendation to buy, sell or hold securities. The material in this release is intended to be strictly informational and is NEVER to be construed or interpreted as research material. All readers are strongly urged to perform research and due diligence on their own and consult a licensed financial professional before considering any level of investing in stocks. The companies that are discussed in this release may or may not have approved the statements made in this release. Information in this release is derived from a variety of sources that may or may not include the referenced company’s publicly disseminated information. The accuracy or completeness of the information is not warranted and is only as reliable as the sources from which it was obtained. While this information is believed to be reliable, such reliability cannot be guaranteed. FNMG disclaims any and all liability as to the completeness or accuracy of the information contained and any omissions of material fact in this release. This release may contain technical inaccuracies or typographical errors. It is strongly recommended that any purchase or sale decision be discussed with a financial adviser, or a broker-dealer, or a member of any financial regulatory bodies. Investment in the securities of the companies discussed in this release is highly speculative and carries a high degree of risk. 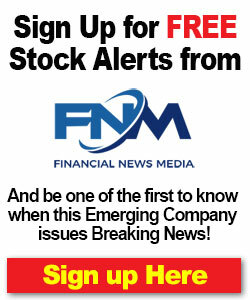 FNMG is not liable for any investment decisions by its readers or subscribers. Investors are cautioned that they may lose all or a portion of their investment when investing in stocks. This release is not without bias, and is considered a conflict of interest if compensation has been received by FNMG for its dissemination. To comply with Section 17(b) of the Securities Act of 1933, FNMG shall always disclose any compensation it has received, or expects to receive in the future, for the dissemination of the information found herein on behalf of one or more of the companies mentioned in this release. For current services performed FNMG has been compensated forty six hundred dollars for Marijuana Company of America, Inc. current news coverage by a non-affiliated third party. FNMG HOLDS NO SHARES OF Marijuana Company of America, Inc.